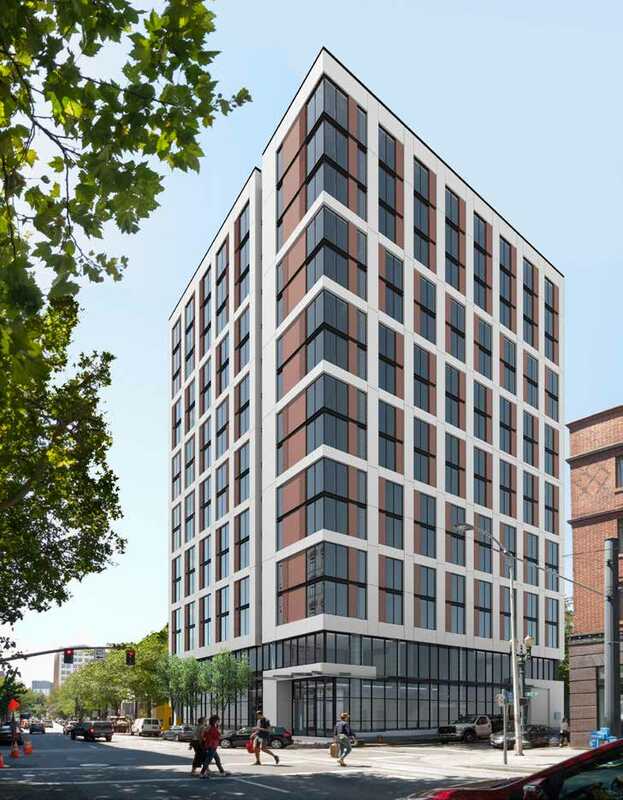 A proposed hotel at SW 11th & Alder by SERA Architects for developer Mortenson has been approved by the Design Commission. The 150′ tall building would include 215 hotel rooms, with a lobby, bar / restaurant and lounge at the ground level. Meeting rooms would be located at the second floor. 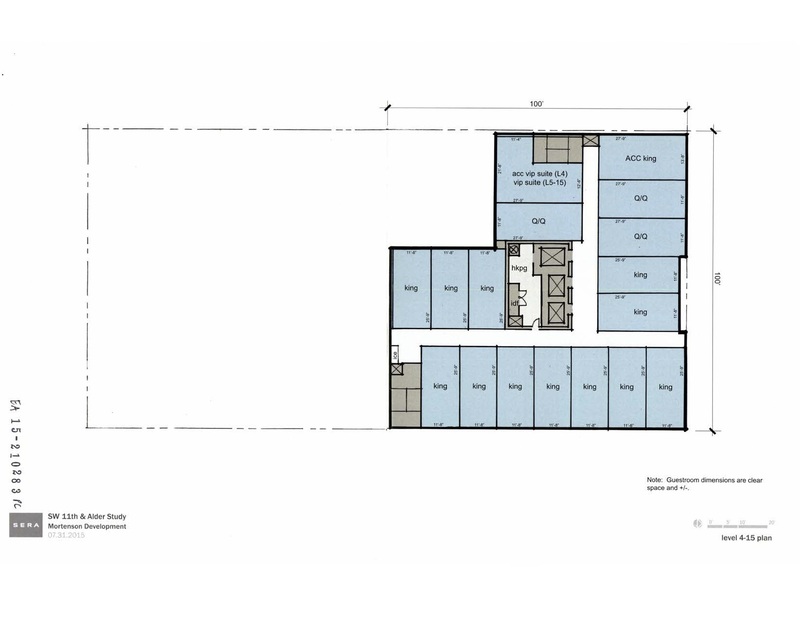 A fitness room and long term parking for 14 bicycles would be provided at the third floor. No vehicular parking is proposed. 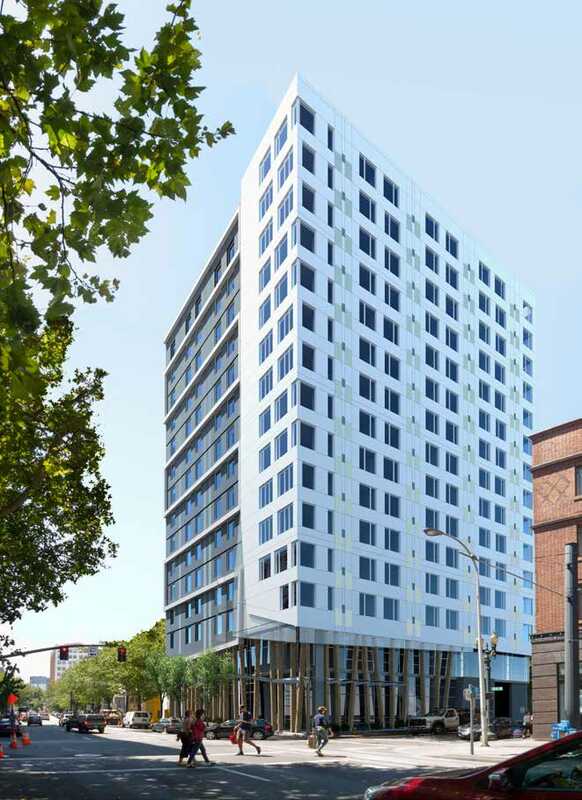 The Design Commission has approved the Oregon Convention Center Hotel, which represents one of the final hurdles for the long planned project. The Hyatt Regency branded hotel will include 600 guest rooms and 32,000 sq ft of ballroom and meeting room space. The ground level of the 14 story building will include public facing spaces including the main lobby, a restaurant, bar, the junior ballroom and a 24-hour retail market. The second and third floors will include the main ballroom, meeting rooms, a fitness center, and a Regency Club lounge. Guest rooms will be located in the body of the 180′-6″ tall tower, on levels 3 to 14. 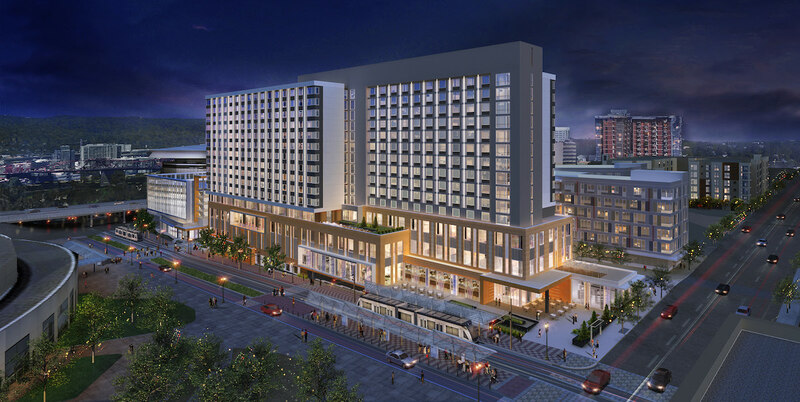 The hotel is being developed by developer Mortenson, with a design team that includes ESG Architects and Mayer Reed Landscape Architecture. The $240 million hotel is being funded from a mix of public and private sources. 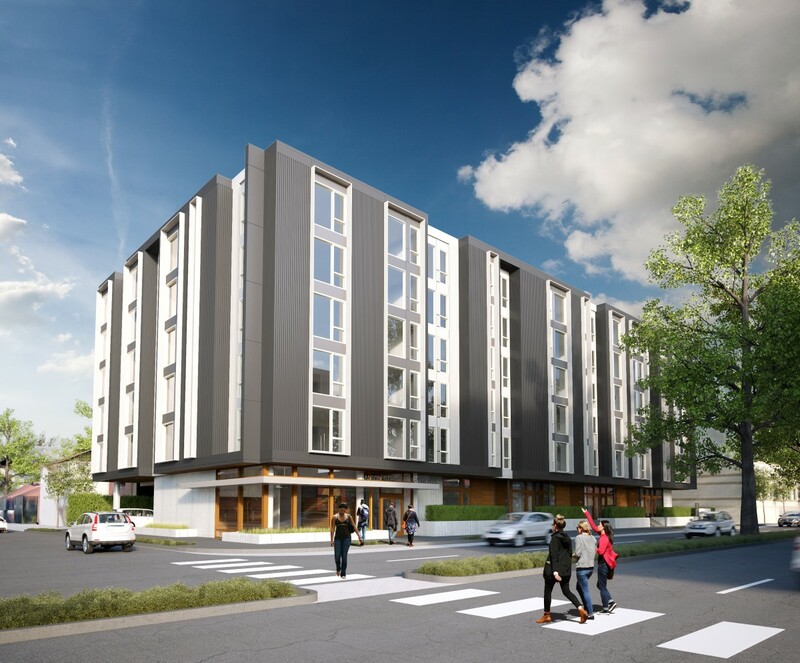 $165 million will be invested by Hyatt/Mortenson Development, while Oregon Metro will contribute $60 million in bonds backed by lodgings tax revenue expected to be generated by hotel guests. Additional funding sources includes $4 million from Metro’s Convention Center reserves and $10 million from lottery funds. 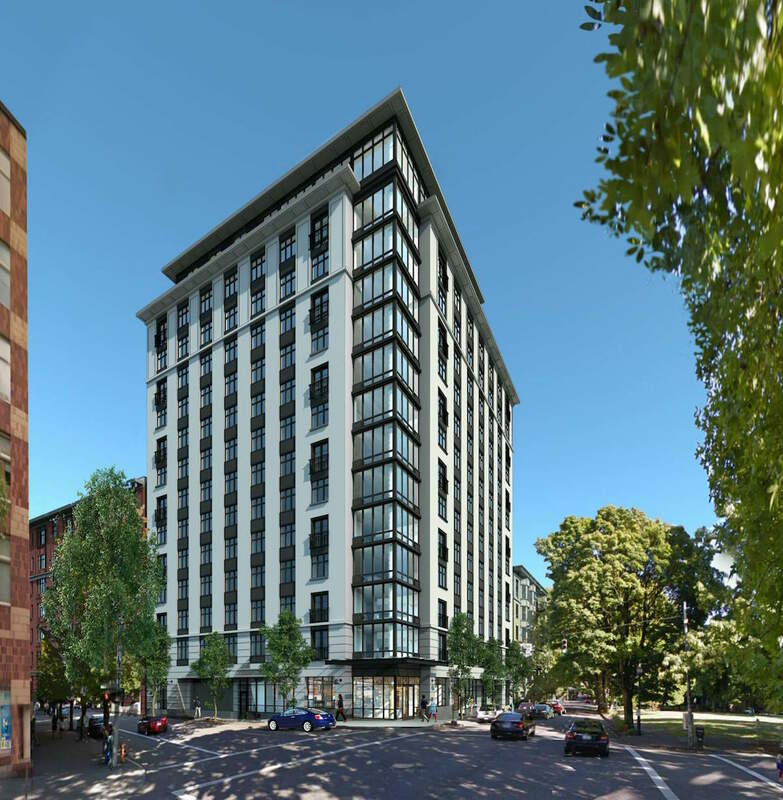 The Design Commission has approved a fourteen story apartment building at SW 12th & Market. The 150′ tall building by SERA Architects for developer Mortenson will include 146 residential units, aimed at students. Amenities spaces in the building will include a common room and roof terrace at the 14th floor, as well as a game room and fitness room at the ground floor. 21 vehicular parking spaces, 18 of which would be in mechanical stacking system, would be provided at the ground level of the building. 228 bicycle parking spaces are proposed, all located within the units. 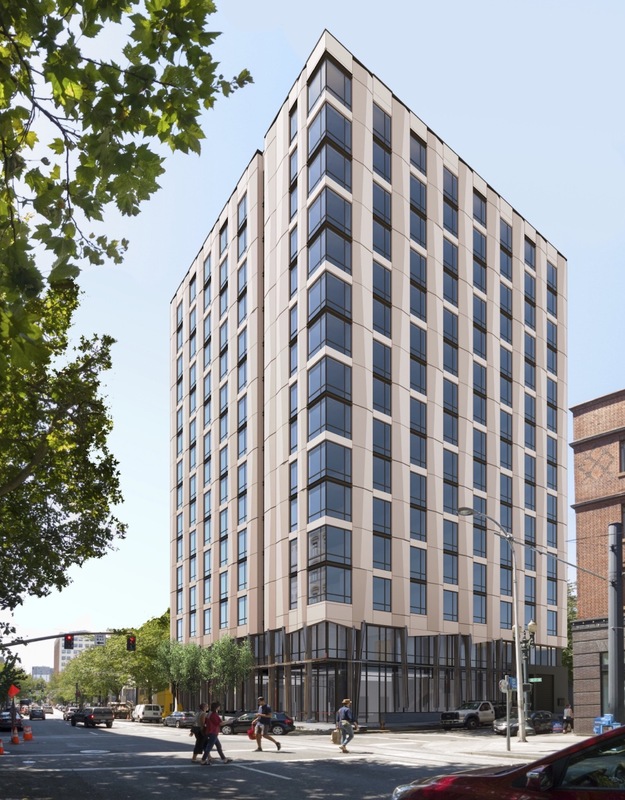 A fourteen story apartment building at SW 12th & Market has gone before the Design Commission for its first Design Review hearing. The 150′ tall building by SERA Architects for developer Mortenson would include 146 residential units, aimed at students. The top floor of the building is proposed to be entirely dedicated to amenity functions, including a fitness room, club room and exterior roof terrace. 21 vehicular parking spaces, 18 of which would be in mechanical stacking system, would be provided at the ground level of the building. 228 bicycle parking spaces are proposed, all located within the units. 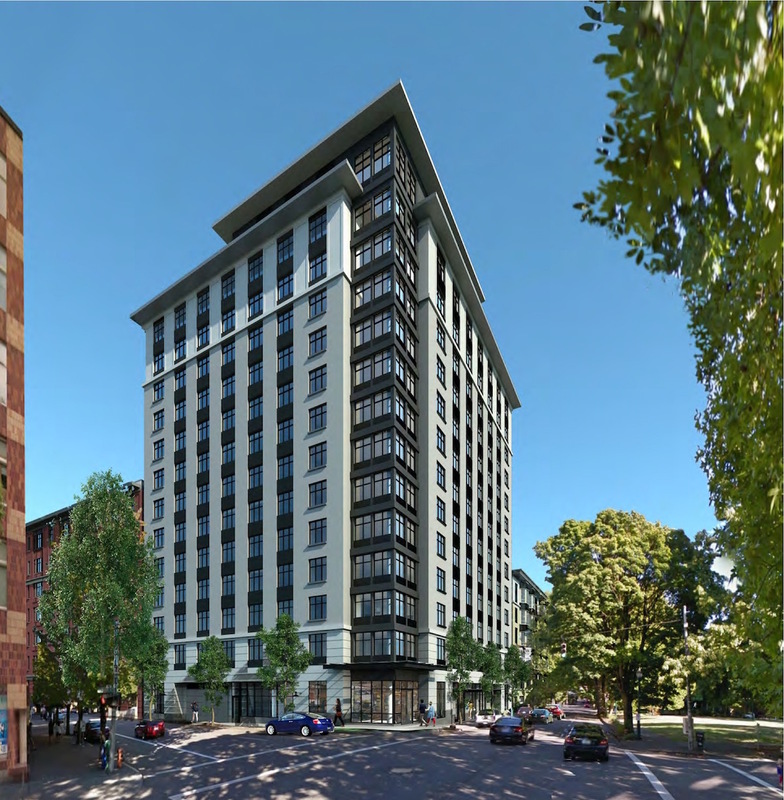 A Pre-Application Conference is scheduled to take place today to discuss a proposed hotel at SW 11th & Alder by SERA Architects. The 15 story tower would include 221 guest rooms. At the ground floor the hotel would include a three meal restaurant with a “grab and go” cafe. 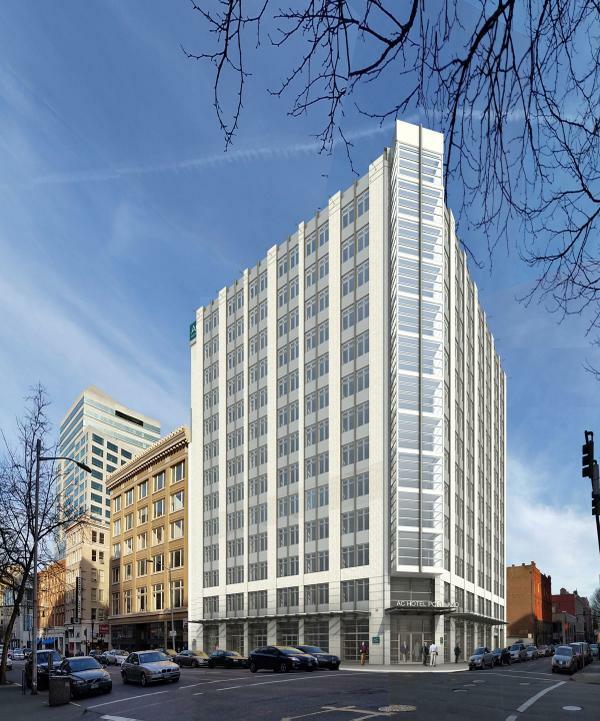 The developer for the project is Minneapolis based Mortenson, who are also planning the AC Hotel by Marriott and the Hyatt Regency at the Convention Center.